Today marked what has become an annual holiday tradition for me: Shipping Day. This the day when I send the fruitcakes off to their – hopefully – eagerly waiting recipients. This year was complicated by the fact that I was shipping books as well. 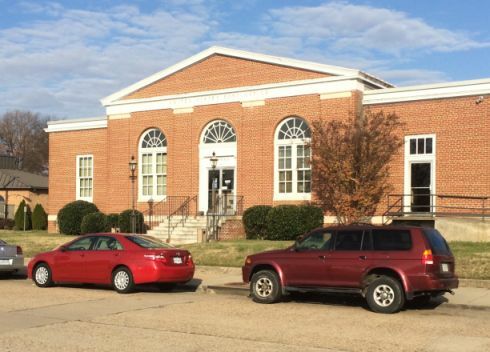 The first stop was the Hopewell post office where copies of Urban Mermaid were mailed to North Carolina, California, Bulgaria, and Australia. A far cry from the Good Olde Days©, The P.O. in Hopewell is only open for two hours on Saturday. Obviously, a small window for mailing. The next stop was the UPS store for shipping fruitcakes. This was an around-your-thumb sort of journey because the UPS store where I shipped my holiday goodies last year, had closed in the interim. Fortunately, my smart phone was able to tell me the location of another store. I have one complaint about the UPS app for the iPhone. You need to know the Zip Code™ before you can search for locations. What if you don’t know the Zip Code? They must have done this app on the cheap as it seems to know nothing about geo-location. Long story short, the fruitcakes were entrusted to the big brown truck and it was time for a hot dog at Five Guys. I know they have great burgers but it’s so darn hard to find a place that sells bow-wows nowadays. The weather today set some kind of record as it topped out at 79 degrees. It was 80 degrees at Lake Gaston and no telling what it was in Elizabeth City, NC but I’m sure that Cindy Trimm Henderson was on her back deck with a glass of vino. Somehow, shorts & flipflops just don’t put me in the holiday mood. Urban Mermaid has been on the market for less than a week and I’m starting to see a few sales. Since book publicists cost an arm and a leg – I’m sure they earn every penny of their fees – I’ll be doing a lot of the publicity myself. There’s a perfect opportunity to do this in Greensboro, NC on Jan. 2 & 3, 2016 and I’m going to have to miss it because of my regular job. I will go into work around 10:30 PM on Jan. 1st and will not be done until 3 or 4 AM. Driving directly to Greensboro from Richmond, VA might have been an option in my college days but it’s definitely off the table now. The event in Greensboro is a sort of mermaid convention and is an ideal place to stir up interest and maybe even some sales. There’s bound to be other opportunities in other towns . . . just none as good as this one. Besides putting up the tree and baking gingerbread cookies over the holidays, I’ll also be devoting a good bit of my time to working on publicity and getting the word out. After the first of the year, I’ll be running a series of give-aways on the official website – ColonyIsland.com – and plan to have some serious swag up for grabs towards the end of January. Just one more reason to stop by ColonyIsland.com and see what’s happening.